This weekend I decided to work on a quick holiday project that had been on my to do list for a few years. 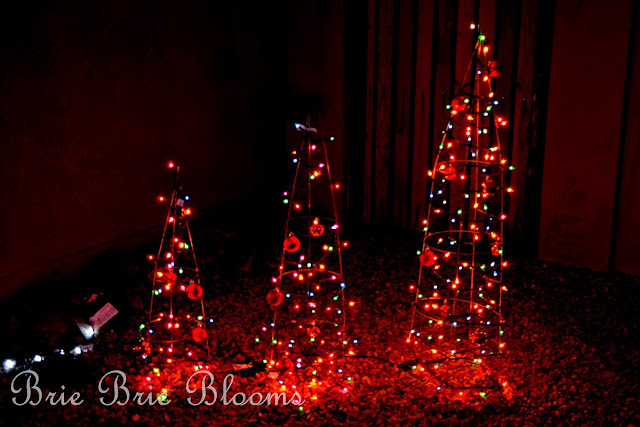 Driving by my home to look at lights, you would never know I made these holiday trees with wire tomato cages! 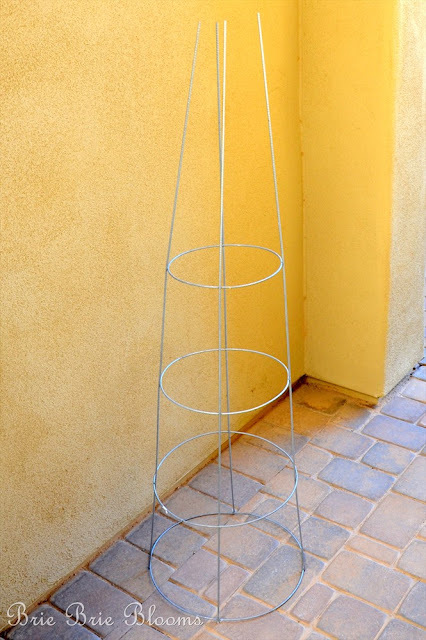 1) Wrap the top of the tomato cage with wire to hold the top closed. 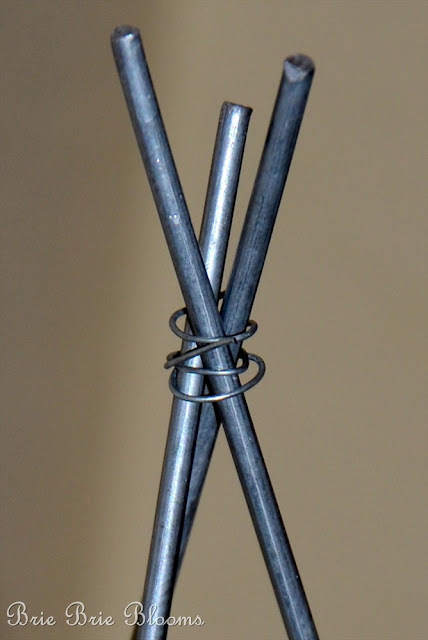 If you don’t have wire, get creative; you could easily do this with string or a rubber band. 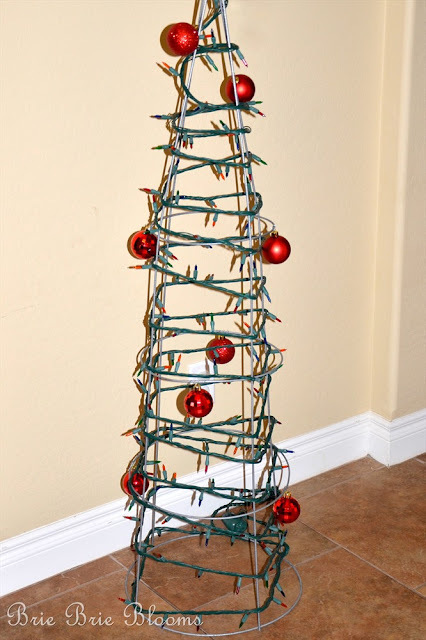 2) Wrap the tomato cage with lights and add ornaments. I started wrapping the lights from the bottom to help with spacing. I didn’t want to wrap too tightly and then end up with out enough lights at the bottom. 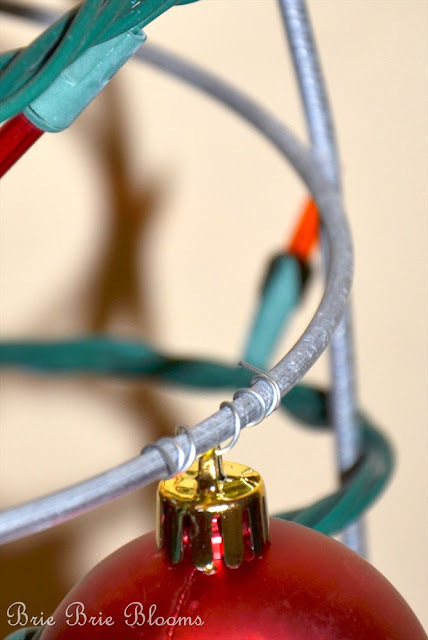 I secured the shatter proof ornaments by wrapping the hanging wire around the tomato cage. 3) Take your trees outside and plug in the lights. My small display has three trees. Each tree used their own strand of lights and were plugged into each other. You might want to secure the trees in the ground with small metal stakes. Living in Arizona with extremely mild winter weather I didn’t do anything to permanently secure the trees. I just buried the base level of the tomato cage under our gravel in the yard. 4) Wait for the sun to go down and go out to admire your trees! This project cost less than 10 dollars! I love frugal projects that turn out exactly as expected! 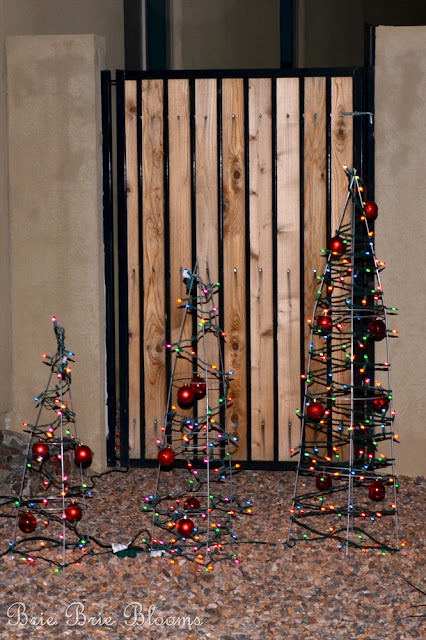 Fabulous idea; pretty in daylight hours too; chic/industrial/Christmasy! Love it!